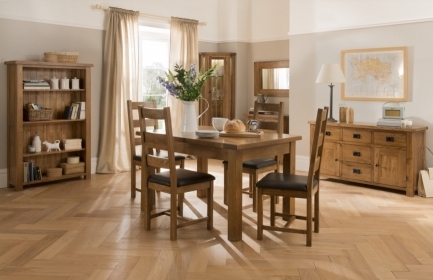 The Rustic American White Oak 3ft single bed is hand built using time-honoured techniques and comes supplied in a lacquered rustic finish. 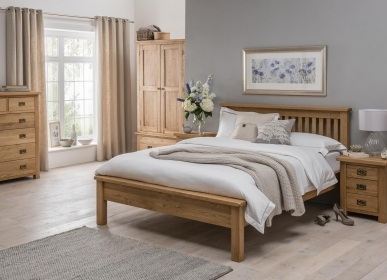 The bed’s traditional feel and gently rounded edges and smooth lined design will look good in both contemporary and traditional bedrooms. With a chunky solid, appearance, it features slatted head and footboards, perfect for creating a focal point in any bedroom.